I'm fairly sure you will agree with me when I say that the one thing missing from comic books today is passion. Passion to tell a story rather than sell a story. Passion to draw rather than score. And passion to create rather than cause debate. Now if you want to know what the hell I am going on about, here, check out this conversation I had with my mate Tony only the other day, whilst he was telling me about his new line of publications. 1) What are your own origins, Tony? Plus what path did you take in life to get to where you are today? 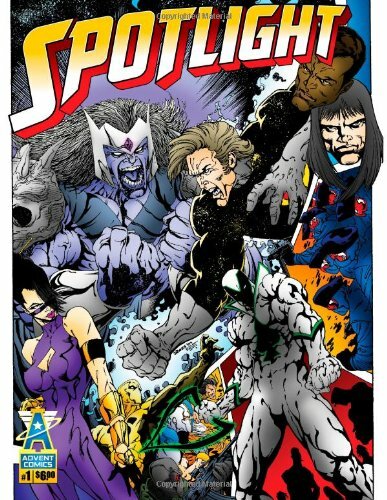 Since I was a young child I was fascinated with the comic book medium and had a strong desire to create my own comics. I started reading comics at the age of 5 (I went to my first comic store, Geppi's in Silver Spring, at age 9). I would spend hours making characters and drawings that would one day be "the greatest heroes ever" -- at least in my own mind (as I used to tell myself). I was set upon this path when my older cousin (who was "growing out of comics") had given me his entire collection of comics. I like to believe that he realized how much I loved comics, but this could be also attributed to my constant badgering & begging for them. The 600-plus collection consisted of now classics by such artists as Neal Adams, John Buscema, Steve Ditko and Jack "The King" Kirby. From that one act, a passion was sparked in me to one day create comics. Even though life took me in a much different path as a career firefighter / paramedic, I always held onto that dream. After nearly 40 years of loving comics and wishing to be in the business, I decided to create my own comic books. 2) What inspired you to create your independent publishing house, ‘Advent Comics’? Advent Comics was founded in 2009 when I resolved myself that I should take the plunge and self-publish. I wanted to write about subject matters that I had a genuine interest in, and chose to craft tales that would merge my passions in creative ways. Advent Comics operates on the belief that the fans & readers needs are of the utmost importance, and I'm focused on providing high-quality comics that satisfy all fans. Our entire team is committed to meeting those needs, and as a result, we welcome the chance to deliver to you the best entertainment in the industry. With a variety of offerings of everything from action/adventure, science fiction, religious themes, fantasy, romance, horror, crime noir, humor and more -- Advent Comics will do everything we can to exceed fan's expectations. 3) If ‘Advent’ was a song, what song would it be and why? 'Started From The Bottom' by Drake because it perfectly captures the struggles we have had to encounter and overcome in order to live out our dreams of being in the comic book industry. 4) Could you describe each of your comic books, in general terms? 'Pandemonium: Evil Incarnate' is an anthology of stand alone stories focusing on how comics & the world in general has become a very dark place. It also introduces the main characters of Advent Comics who will play major roles in the foundation of the Advent Universe. 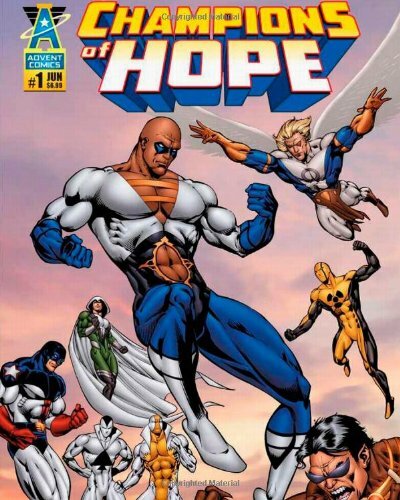 'Champions of Hope' is a 100 page giant that connects the stories of Pandemonium into a single, rollicking story, and launches the Advent Universe. 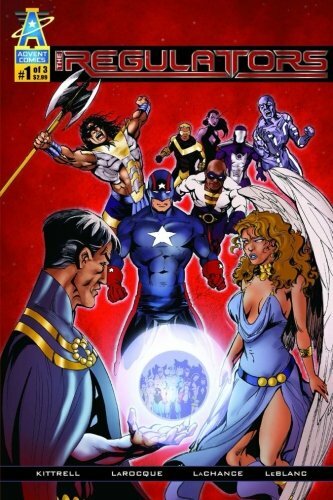 This book is lighter in overall tone and sees the heroes of the Advent Universe step forward. 'Advent Comics Spotlight #1' is a 64 page book that is our first ongoing title which features awesome artwork and some of the most popular characters in the Advent Universe. The story 'Lamentations' features reporter, Jeremiah Rothstein, as he chronicles the aftermath of the events from 'Pandemonium: Evil Incarnate' and 'Champions of Hope'. 'Ace' fights to free L.A. from the West Coast Kingpin of Crime. 'The G-8' battles the Cadre to stop an international kidnapping plot. 'Tales of the War Guard' features Raphael and Uziel of The War Guard in a flashback tale recounting the fall of The Watchers. And in the final story, it's all-out battle as the galactic freedom fighter 'Rann Darklight & Crew' confronts the powerful cosmic despot Regent and the Regime Hierarchy. 'Titan, The Ultra Man #1' is 40 pages that chronicles the adventures of Advent's strongest hero as he comes to terms with the burdens of true heroism and struggling to do his best to save this harsh, new world. But in order to accomplish this, Titan must first get past Think Tank and The Brain Trust. 'Darklight & Crew #1' is another 40 page spectacular that follows the mysterious Star Commander Rann Darklight & his group of cosmic rebels who are waging a campaign to free the galaxy from the clutches of the evil cosmic despot known as Regent and his Regime Empire. In the deepest reaches of the Andromeda Galaxy, Darklight struggles to come to grips with recent developments as we learn the secret origins of both him and the Crew. 'Advent Universe Handbook #1' is a 32 page source book that features the histories and origins of the main characters of the Advent Universe. 5) If you could get a celebrity – either living or dead – to promote your comic’s, what person would you get, and why would you want to choose this particular person? 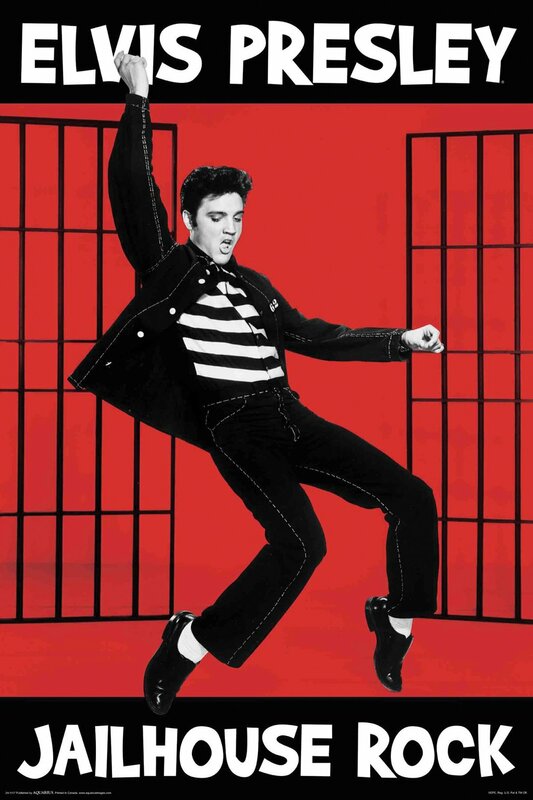 Either James Dean or Elvis because both were extremely cool and could relate to our "outsider" type of approach to the industry. 6) What have you learnt about yourself through this endeavour? And were their any unforeseen obstacles you had to contend with? It was a daunting task with plenty of unforeseen obstacles (economics, my career as a firefighter/paramedic, family, etc.). But I managed to get it done with a lot of hard work and a great group of people who supported my dream. I look forward to continuing to bring comics & graphic novels to all those interested in reading them. 7) Are you affiliated with any independent publishing firms? Plus what formats do your books come in? 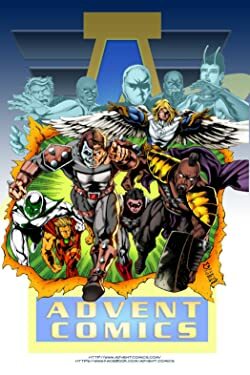 Advent Comics can be found in standard comic book format through Amazon and Indy Planet and is also available in e-book format for Apple iPad/iPhone/iPod, Kindle, Nook, Sony Reader and Android devices. 8) How do you recruit your great artists and co-writers? A lot of our creators came to us after reading our books or seeing our work around the internet. Many were taken with the unique and creative storylines that we have put forward. We have also had great mainstream talent such as Greg LaRocque, Andy Smith, Bart Sears and Jimbo Salgado work with us on our projects as well. 9) If ‘Advent’ had a motto, what would it be? Advent does have a motto and it's "Advent Comics is putting the SOUL back into comics!!" So there you have it folks, my mate Tony and his great line of comic books in a nutshell. When you have the time please visit the Advent Comics website, plus don't forget to do the face-face / tweet-tweet thing either. Go on. You know you want to.